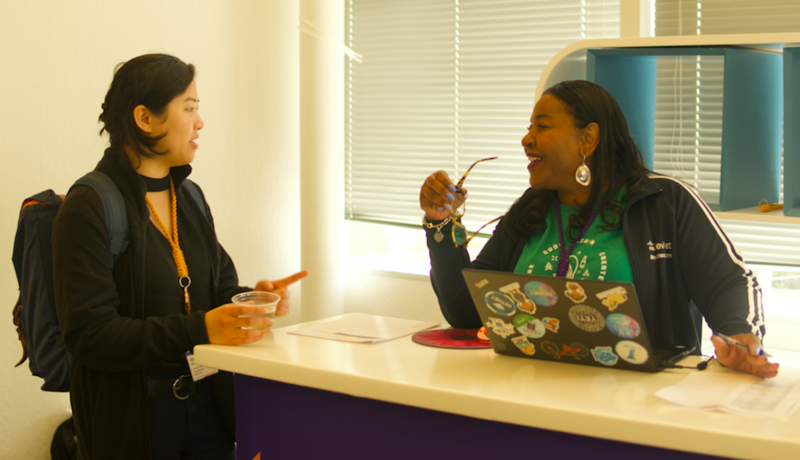 DevNet Create is an event run by Cisco Systems, promoting itself as “the hands-on developer conference where applications meet infrastructure”. 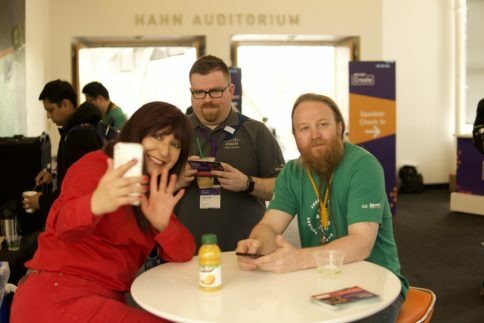 Organizers of DevNet Create implemented Local Measure so they could engage with guests in real-time and promote the event through User-Generated Content (UGC). 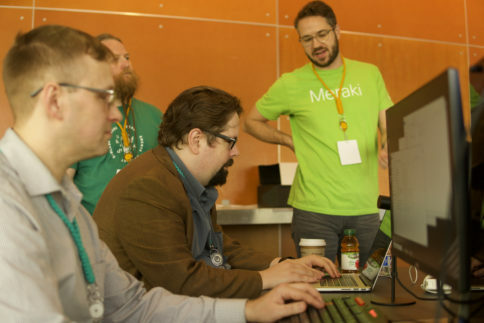 Over two days in April 2018, eager developers gathered at the Computer History Museum in Mountain View California. Attendees were able to hear leaders in application and infrastructure development speak and connect with industry peers from around the world. The conference was a huge success for Cisco, helping to inspire innovation and creativity amongst attendees. 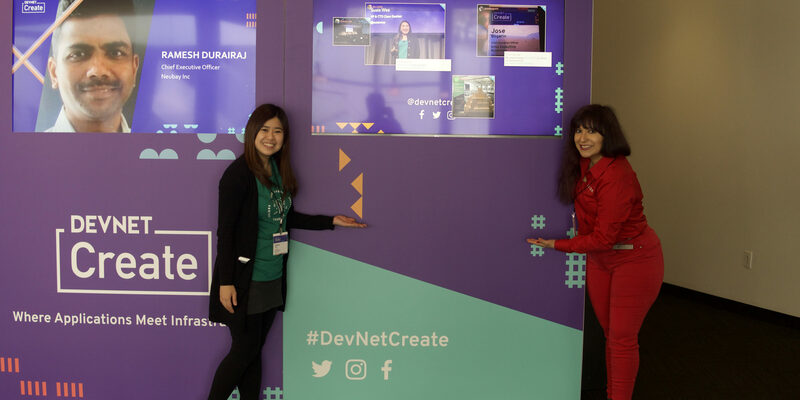 As part of their social strategy, event planners used #DevNetCreate and @DevNetCreate in social media posts prior to, and during the event, encouraging other people attending or talking about the event to do the same. Over the two-day conference, Local Measure surfaced 1,239 social posts by 346 people. Those who posted social content had a combined reach of almost three million people worldwide. Instagram and Twitter were the social platforms of choice for the event. Hosts of the conference engaged with just under 20% of the posts within an average of 45 minutes, a great achievement considering the high visibility levels of each of the interactions and substantial amount of content that was generated. Additionally, Local Measure’s reporting dashboard recorded that social posts captured during the week leading up to and after the conference collectively achieved a reach of over five million people globally. Local Measure’s UGC galleries were incorporated into the marketing of the event, both online and at the conference itself. 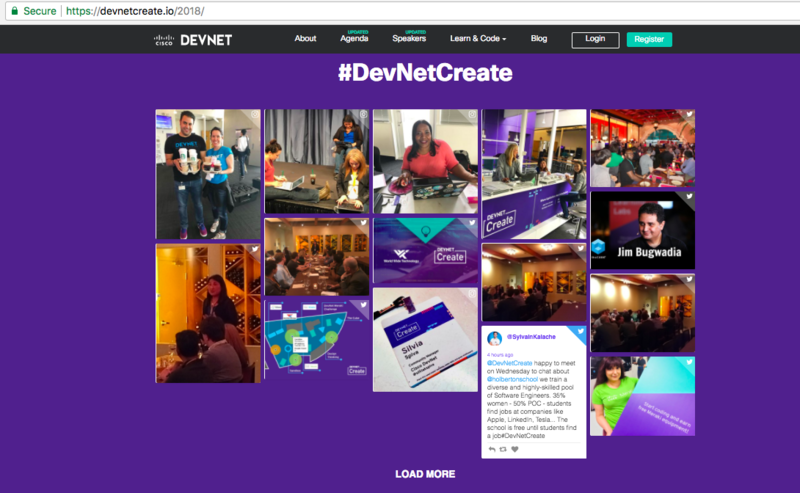 These galleries were made up of fun and quirky social media posts that used the hashtag #DevNetCreate or mention @DevNetCreate. On the Cisco DevNet Create website, visitors could view Local Measure’s responsive grid gallery, which showed off the great social content being distributed online both pre and during the conference. Event hosts used this online gallery to attract new visitors to the conference and drive UGC surrounding it. In addition to this, Local Measure’s falling cards gallery was displayed on television screens throughout the conference, helping to inspire and motivate attendees to continue to publish social posts of their experiences.